One of the largest archaeological projects ever undertaken in Israel has exposed the ancient entrance to Caesarea. Among the discoveries are the base of an altar built in honor of the Emperor Augustus and the goddess Roma. 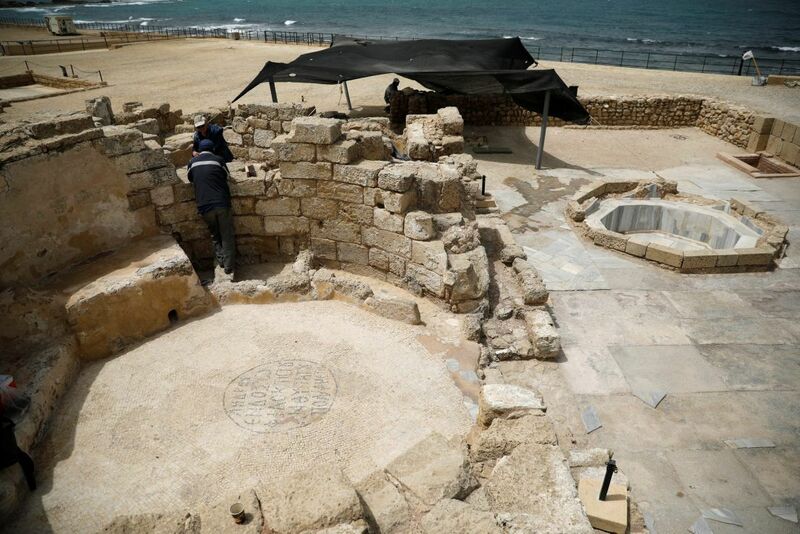 The project to excavate and rebuild ancient Caesarea's entrance complex leading from the harbor to the city, apparently built by King Herod over 2,000 years ago, was revealed in a press conference Wednesday. Beneath the level on which the altar stands, archaeologists discovered two large halls, open to the sea, as well as a series of small arches beneath a large staircase leading to the altar. The stairway and other structures are similar to the architecture around the Temple Mount in Jerusalem, which was also designed by Herod. “There is no doubt that Jerusalem and Caesarea were the leading cities. 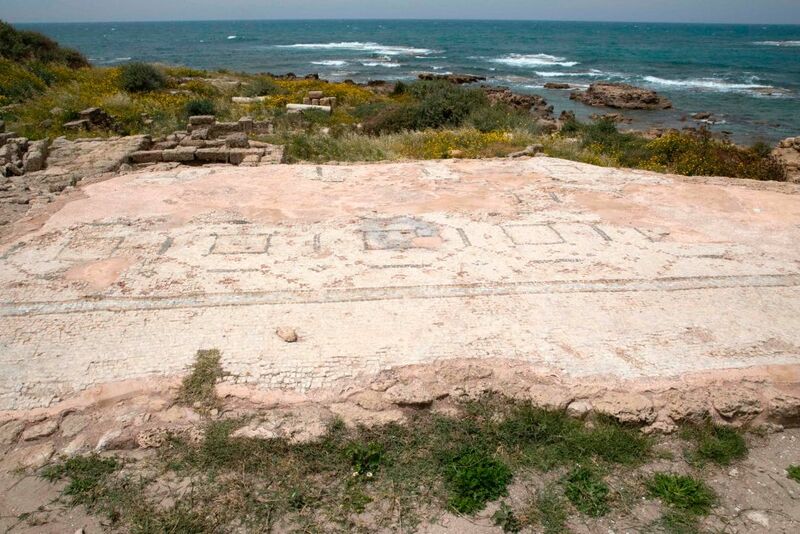 Herod’s megalomaniac spirit hovers over Caesarea,” says Dorn Ben-Ami, head of the Antiquities Authority’s central Israel division. 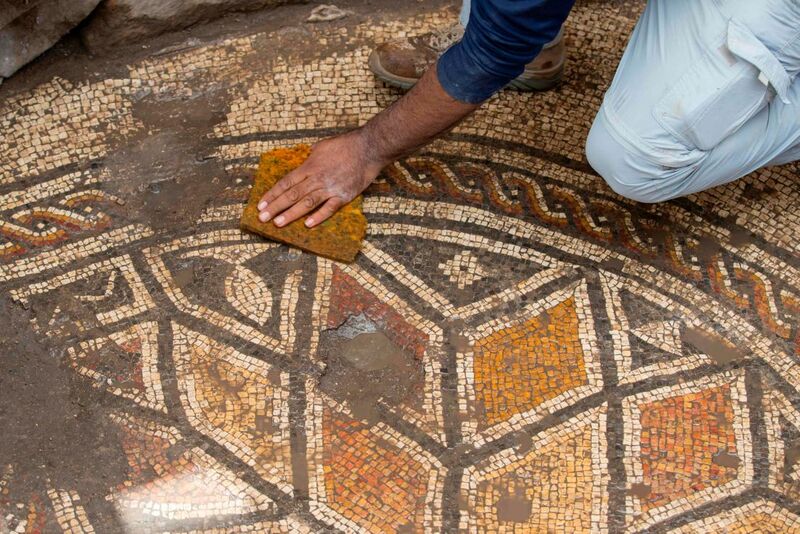 The project includes excavating and preservating the entire compound, and rebuilding the ancient edifices. 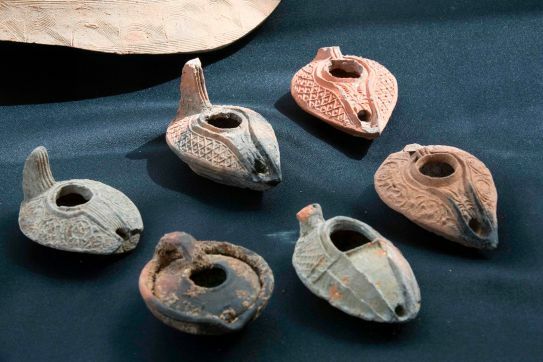 The project is expected to cost more than 100 hundred million shekels ($27.5 million), making it one of the most expensive archaeological explorations in the country. Funding comes from the Edmond de Rothschild Foundation and the Caesarea Development Corporation. 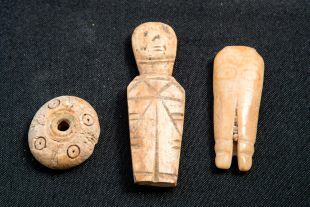 Several smaller findings were made in the course of this excavation. 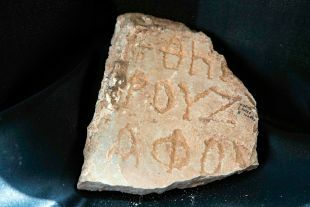 One interesting one was a Jewish artifact, found a few weeks ago next to the pagan altar. 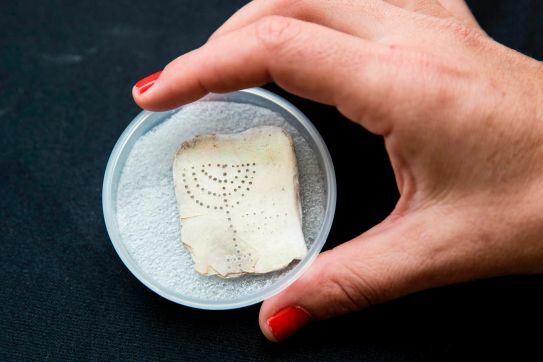 This was a small tablet made from mother-of-pearl, with a seven-branched candelabra etched in, as well as a ritual coal shovel, such as ones used in the Temple in Jerusalem. A statue of a ram, associated with the Byzantine-era church, was also found nearby, as well as a fragment of a statue of a bearded man, identified by Dr Rivka Gersht as Asclepius, the Greek god of medicine. 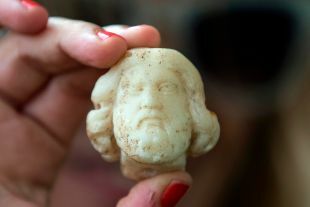 Several statues of this god have been found in Caesarea, but this was the first time his head has been found. 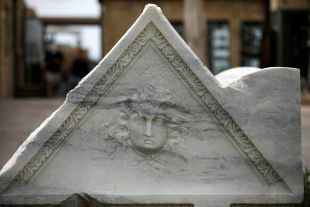 The project is handled by by the Edmond de Rothschild Foundation, Caesarea Development Corporation, Antiquities Authority and the Nature and Parks Authority.